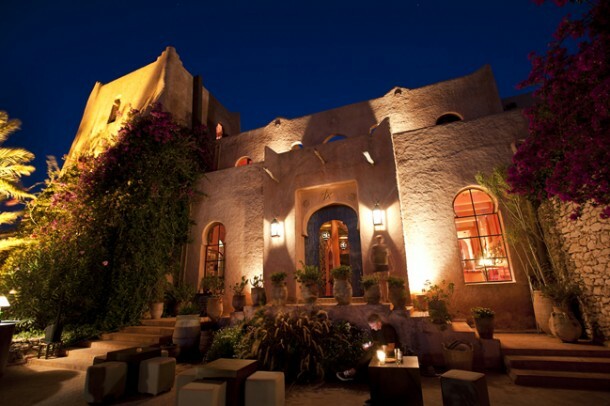 This gorgeous hotel situated on the banks of a river and about 10 minutes drive from the medina at Essaouira, is for me, just the place to stay whether you are visiting Morocco for the first time or returning. 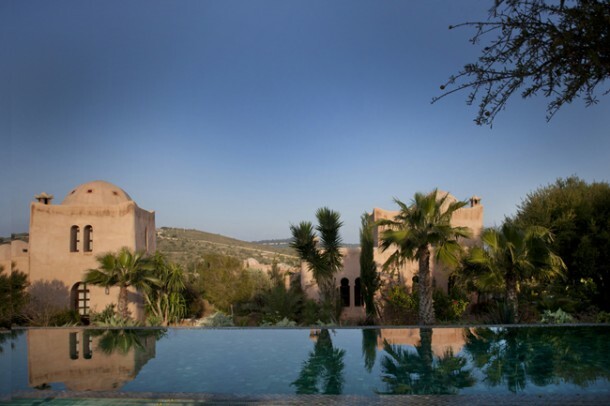 Calm and peaceful with an authentique charm, the gardens are stunning, the pools warm and welcoming, and the rooms, all different but definitely with the ‘feel of Morocco’. Combine this with a great team and good food, and the mix is both relaxing and intriguing. 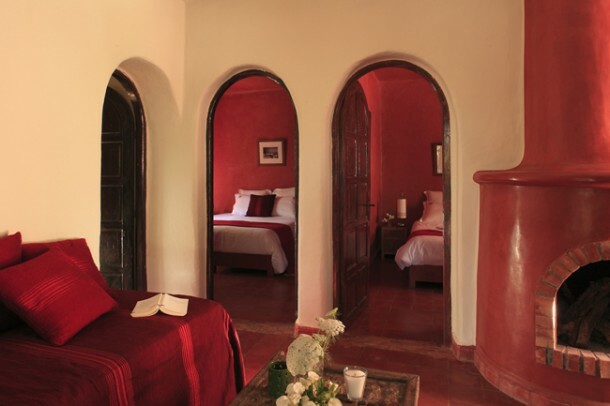 The hotels rooms are all deliciously different, with either showers or bath, all designed with Moroccan coloured tiles and architecture. There are, in total, some 25 rooms spread throughout the lovely gardens. Choose between ground floor and first floors or with a terrace or with a balcony, twin beds or superking… or a family room… or a suite. The breakfast – a delicious buffet spread with both hot and cold choices, and lunches and dinners with a la carte choices that will make choosing tricky! Sit outside on the terrace, or choose the candlelit adult only restaurant for the evening or the relaxed dining room with a log fire for the winter evenings. 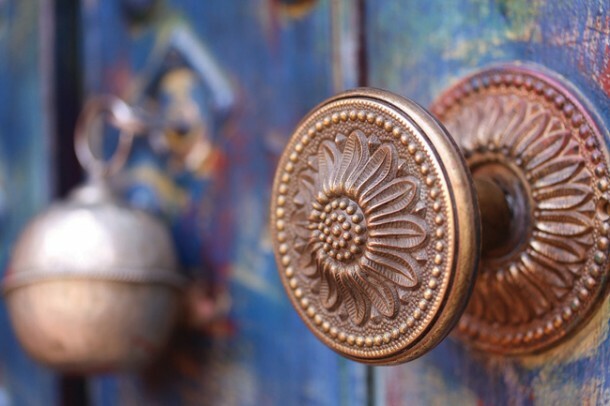 Prices range from about £75.00 per night, bed and breakfast to £280.00 per night depending on room. There is a tourist tax of £2.00 per night/per room to pay additional to the room rate at the hotel. 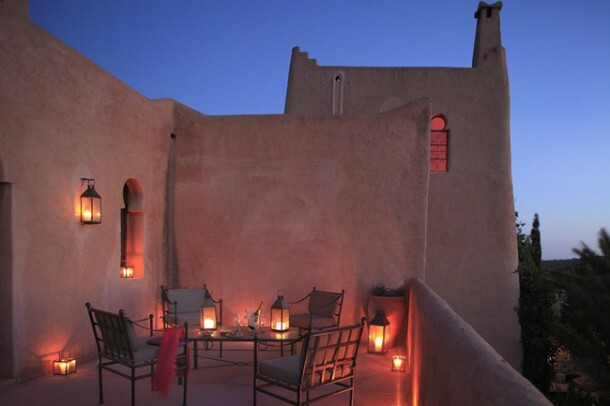 For some times of the year there may be a minimum number of nights to stay. 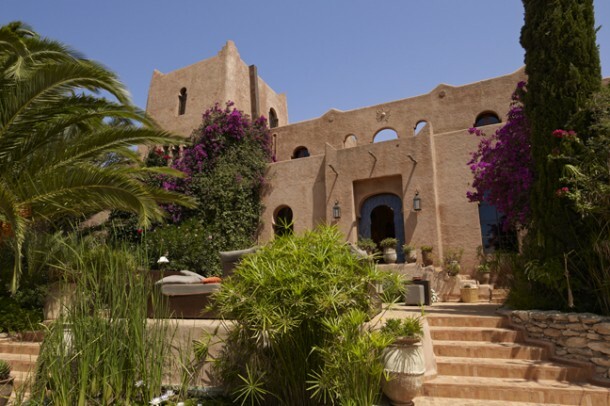 Three spacious villas, each sleeping 8 to 10 persons, located just outside the gardens of the Jardin des Douars hotel.